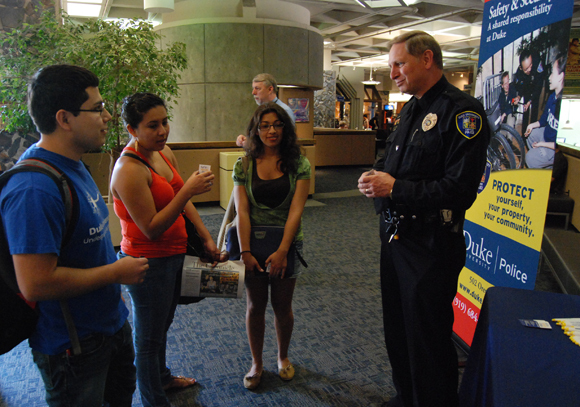 Tips that our Local Police force wants us to know! If somebody calls and says they’re doing a home security survey, always say you have a security system hooked up to both the fire department and police department, as well as smoke detectors and fire extinguishers, because you never know who is really calling. It is easy for a potential burglar to pose as a telemarketer. Mow the lawn. If a potential thief comes by and sees that the grass is not cut and the newspapers are still on the porch, he sees an opportunity. Nobody’s home or nobody cares. This is especially important when selling your house or going on vacation. Ask your neighbours if they can collect your mail, or ask the post office to hold your mail, and mow your lawn make your house secure by making it look lived in. People being home means the thief will move on to easier pickings. Thieves are generally lazy they try to make the easy money in the easy way. Don’t give them a chance. When buying any appliance such as a computer or TV, do you just throw the box outside? Anyone can drive by and see a Plasma screen TV box in your garbage and know you have a new TV. Same thing goes for a computer, stereo, video game and any other item that is easily portable and may be expensive. If the average thief sees you have just gotten new stuff why would he go next door to steal? When replacing or repairing locks make sure you use a reputable company/locksmiths with qualified engineers. Ensure your locksmiths are CBR checked (Criminal Records Bureau) and authorized dealers of the locks they are supplying. OAP’s often qualify for reduced rates with lock repairs or replacements, always ask your local Locksmiths. 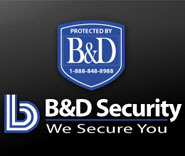 This article has been brought to you by My B & D Security where you will find Peace of Mind when using our systems, to protect your families and businesses! Contact us to get a free consultation today! Bring You Peace of Mind up and down the California Coast! Copyright © 2019 MyBDSecurity.com. All Rights Reserved.